Different things happen to us in life, we seek for help from sources that will/can never help. But when we lift up our eyes to the heavens, we draw the Host of Heaven to attention and the God, the Great I am gives the miracle that is long awaited. It’s a song of praise to God for he never disappoint no matter what. You cannot but dance to the rhythm. 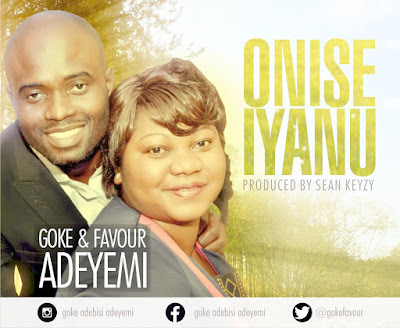 The couple, Goke & Favour Adeyemi (The Ubangiji crooner) have been a vessel of honour in God’s hand as instrument of praise and worship. Filled with the Holy Ghost, they have delivered this piece powerfully.